How Effective Is Video Content Marketing Really? Video marketing is not like it used to be. These days, companies are taking it a lot more seriously and so many more are getting on board. Why video, you may ask. Take a browse through the internet and you’ll notice video content pop up at every second click. Besides being an incredibly popular marketing strategy for most businesses, video content works, and it will continue to work. What do you think the second biggest search engine in the world is? It isn’t Yahoo or Bing. No, right after Google, people are turning to YouTube for how-to videos, product reviews, recipes, and much more. YouTube is the second biggest search in the world . If you own a business, you should not take video content marketing for granted. Consider incorporating it into your marketing strategy because guaranteed your competitors will be. But like with anything else, video marketing is not without its disadvantages. We will take a look at the pros and cons, but first, let’s explore the elements involved in creating an effective video. You don’t want to be that person who throws out a heap of sales hype on your video. You will only reduce your audience to an eye-roll before they turn the video off. Instead, focus on how your product’s features will contribute to your customers’ needs and wants. The best videos tell stories that spark viewers’ emotions and inspire them so much they’ll want to take their viewing further. There are many ways to do this, but one technique proven to work is making your audience feel as though they have been missing out on something. Believe it or not: our attention span is a mere 8.5 seconds. So, you have less than 10 seconds to hook your audience in. Think about what will capture their attention straight away and how you will keep them watching to the end. Perhaps a joke, mind-boggling fact, question or teaser can reel your viewers in – hook, line and sinker. As much as 85 percent of the videos viewed on Facebook are viewed in mute mode. So, think about how you can produce a video that will engage your audience visually. If your story requires words for it to work, think about having subtitles or captions. And last but not least, remember to include CTA (calls to action). This does not always have to lead directly to a sale or sign up but can include a Follow, Share, Subscribe or Comment. CTAs are extremely important for you to achieve conversions. In videos, they are normally placed right at the end, beginning or as a pop-up during the video. Decide what call of action you would like viewers to take and then build your story around it. 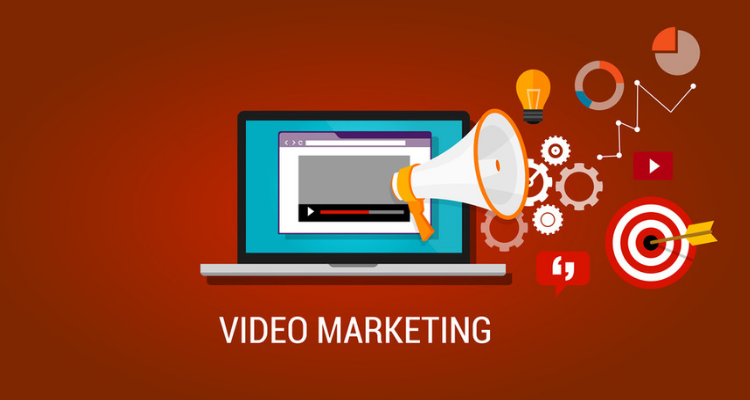 Now, you see why video marketing can be highly effective. We all love a good video! However, like with everything in this world, video content marketing does come with challenges. Without further ado, let’s take a peek at the pros and cons. Google doesn’t just take written content into account when it matches the relevancy of your webpage to specific keywords. It checks to see what other media you have available to search engine users. A good combination of text, images and videos shows Google that your content is valid and diverse. Cisco expects 80% of all internet traffic to be represented by video in 2019. It isn’t a necessity, but if you embed your video as a YouTube video you can drive traffic back to your page and it won’t slow your site’s speed down. Did you know that YouTube reaches more young adults and adults during prime-time TV hours than any cable network? This is a clear indication that YouTube videos are important for any business. Producing written content isn’t complex and it isn’t expensive. All you need is a computer or laptop and word processor, and there you have it – the job’s done. Not so easy with video. Making videos without training or experience can be tricky. Amateurs could make costly mistakes or muck up entire shoots. And you have the cost of hiring or purchasing equipment in the first place, which can get quite pricey. Here’s the thing: while hiring a video production company is going to cost you, it is certainly not a waste. The finished polished product will greatly appeal to your customers and audience. Have you ever been sat at a bar or restaurant and the television is playing in the background? Even if it’s an ad you have seen a hundred times before you can’t help but steal a peak. Video is like a magnetic force for humans. And on top of this, it is emotional. With the right combination of words, pictures and music, video can conjure up laughter, compassion, fear or anger through the art of storytelling. Through stories, you can engage with your target audience and help them to understand what your business does. Because videos are a mixture of visuals, sounds and motion you can resonate with people and create long-lasting meaningful connections, giving your audience something to remember, while at the same time promoting your brand. Producing a video can be time-consuming. If you are after a professional video you are looking at pre-production which includes scripting, casting, location hunting and props; production, which includes lighting, sound and shooting; and post-production which involves editing, graphics effects and soundtrack. However, if you plan effectively and leave enough time you should be able to pull it off without a hitch. At the end of the day, we aren’t creating content just for fun. We create it because we want it to produce results. You want to bring visitors to your website. You want leads for your sales team. You want new customers and you want your existing customers to remain loyal. Thanks to analytics and marketing tools, it has never been easier for digital marketers to track the effectiveness of a video marketing campaign. With video engagement metrics you can see how many viewers click on your video, how long they are tuned in, how many viewers finish the video, how often it is shared on social media channels and lastly, how many leads, prospects and customers you gain from the video. It is not easy to do all this with written content. While video content is more accessible than ever on advanced mobile and internet video technology, if you think everyone in the world has a great quality internet connection, current mobiles and computers, think again. Large stretches of the world’s population cannot watch videos online. Probably hard to believe but 2.1 million Americans are still accessing the internet via AOL dial-up. This is where written content would quash video content. Video is exceptional when it comes to social media – Facebook especially. According to CEO Mark Zuckerberg, 100 million hours of video are watched every day on the social network. And according to YouTube, ‘over 1 billion hours of video are watched daily on YouTube’. And that’s just the tip of it when it comes to eye-opening statistics. The numbers are big. Obviously, not all businesses fit the viral Facebook mould, but you can experiment across a wide range of platforms to see what works best for your brand. Just keep in mind that entertainment wins the race on Facebook. You might have heard that attention spans are on the decline. You heard correctly. You only have to look at one of today’s favourites, the GIF (short animated or moving visual on a continuous loop), to realise just how much our attention spans are waning: a mere 8.5 seconds, as mentioned earlier. With the compression of most things these days, a few minutes of video might be perfect for a young audience, but you might have a harder time engaging with the older demographic. The older generation might not update their devices and computers as often as millennials do, so videos for them may not open or lag – and who wants to watch a lagging video? There you have it – you simply can’t avoid video in today’s marketing climate. It is the best way for businesses to reach their audiences. But before you make your decision, consider your audience and decide if what you wish to promote warrants video representation. Evaluate if it is worth the time and money and if you can produce a video worth watching. Will your audience benefit more from reading and parsing text-based content? Or are they likely to engage more with visual content? The video is in your court! Will IGTV Change the Face of Video Marketing Forever? Why Do Short Format Videos Work? Creative Producer at Scope Productions Pty. Ltd. Experienced Creative Producer with a demonstrated history of working in the marketing and advertising industry. Skilled in technical direction, directing, live events, product launches, conferences, tv commercials. Over 15 years of industry experience working to help global brands build creative and thought provoking productions.